In the year 2029, the John Fitzgerald Kennedy assassination files will be released to the public. We may finally know what actually happened on that fateful day in Dallas. 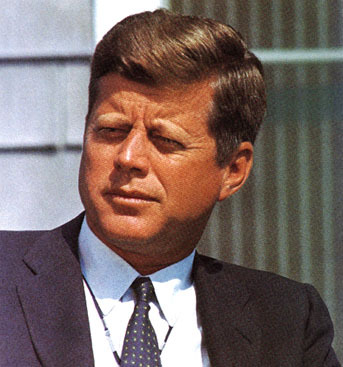 Despite volumes of evidence and substantial writings speculating on who really killed the President, only two things are certain: Kennedy was killed in Dallas by a high powered rifle, and his accused assassin, Lee Harvey Oswald, was killed by Jack Ruby in the Dallas jail two days later. Although there is no clear motive, it is suspected that Lee Harvey Oswald murdered JFK. In the years before Kennedy's death, Oswald worked as a radar operator at U-2 spy plane bases, defected to the Soviet Union and married the niece of a KGB colonel. When he returned to the US, he campanied for Castro's Cuba out of a New Orleans building that he shared with an ex-FBI agent trying to overthrow Castro.